The history of the JCC isn’t just about the 100-plus years we’ve served the Greater Milwaukee community or the 150 years of service throughout the national JCC movement. Our history dates back over 5,000 years – but it’s as much about tomorrow as it is about yesterday. The JCC, as we know it, was founded by Lizzie Kander in 1894 in support of Milwaukee area immigrants. Originally called the Jewish Mission, it was funded in part by the proceeds of Kander’s “The Settlement Cookbook,” which was based on recipes that were used in cooking classes at the center. Since then, the JCC has worn a few names and seen a number of addresses. From our early days in the Abraham Lincoln House on 9th and Vine, to our mid-century home on North Prospect Avenue, our history is as diverse as the community we’re blessed to serve. Today, we serve the entire community – through six sites across the state of Wisconsin and in 18 unique impact areas including fitness, early childhood education, arts & culture, camping, and adult programs. We strive to create a space in which we can find joy, understanding and inspiration in our Jewish values. Questions about our history and vision? 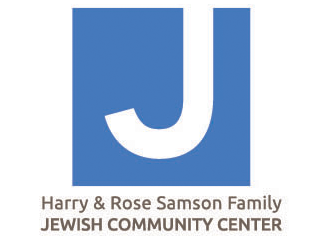 Welcome to the NEW jccmilwaukee! While we honor our past, it’s important to keep looking forward so that we can continue to meet the ever-changing needs of our members and community. Find hours, maps, and directions to all of the places where we are serving our community. As a not-for-profit community organization, our mission is everything. See what drives us. On campus, at home, and in the community, the J is enriching lives with its programs, support and services.